I can lead a nation with a microphone! 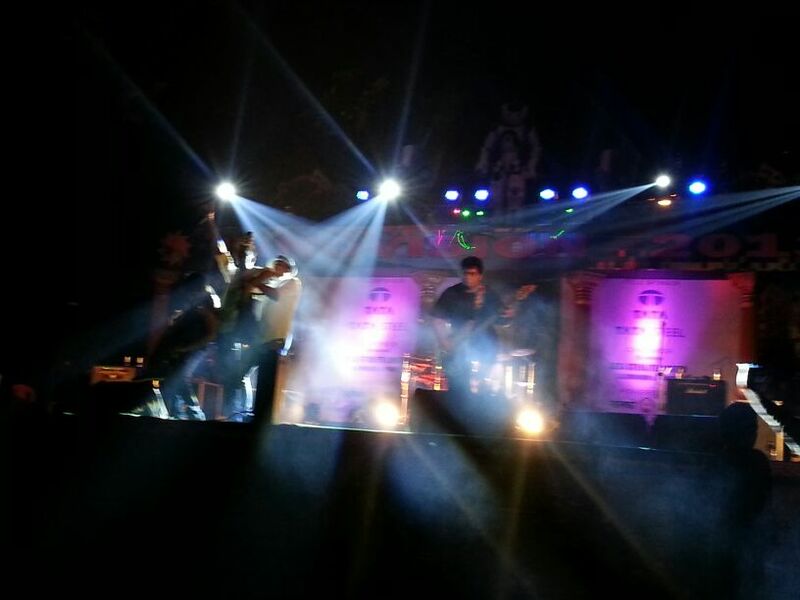 I was at NIT Rourkela recently for their annual technical festival Innovision 2013 where the evening show’s highlight was a supposedly popular Indian band’s performance. The band was called Underground Authority. Frankly, I had never heard of it. Without much excitement and after much coercion by the organizing committee to attend their ‘festival’s highlight’ show, I went. And boy, was the show popular! The ground was choc a bloc with students and staff. As I occupied the first row escorted by event organizers, the band was performing in full flow. Head banging. Hands up in the air. Shrieking and yelling. Fire show. And all that jazz that normally accompanies such shows. The band was, without any doubt, super impressive but what really caught my attention was one of their tracks ‘I can lead a nation with a microphone’ brilliantly sung by the band’s lead singer Santhanam Srinivasan Iyer. In between, the talented Iyer boy was rapping about the need to bring about a change. Good stuff! The moment I left the grounds, I googled on my phone to find out more details about the band. Underground Authority, Wikipedia says, is a Kolkata based band and their music is flavoured by a blend of protest poetry, reggae, alternative rock, rap rock and hard rock. The band is prominently noted for their socio-political messages / Anti-capitalism agenda and also for their ‘Music to express and not impress’ quote. Hmmm. Sahi hai boss, I said to myself. Coming back to the microphone track, it was so apt for what ChangeBhai stands for, I thought to myself. We indeed can bring a change with a microphone. That is what ChangeBhai ‘s logo depicts as well. Low, distant voices can be heard everywhere. They fail to make an impact that a collective voice through a microphone can make. ChangeBhai intends to be that ‘microphone’ to amplify your voice. Let’s get ourselves heard. Let’s all pick up the microphone. PR & Co-Manager – UA (India).